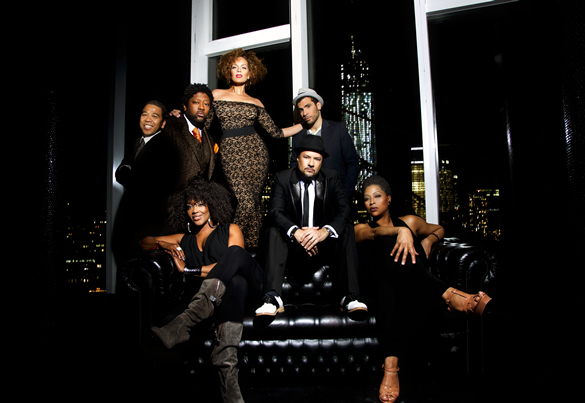 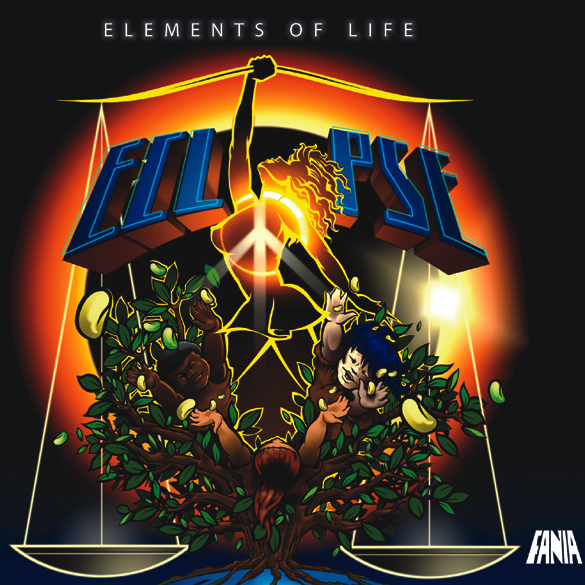 New York, NY – Fania Records announced today the release of Elements Of Life ‘Eclipse,’ an album from Louie Vega’s critically acclaimed live orchestral project. 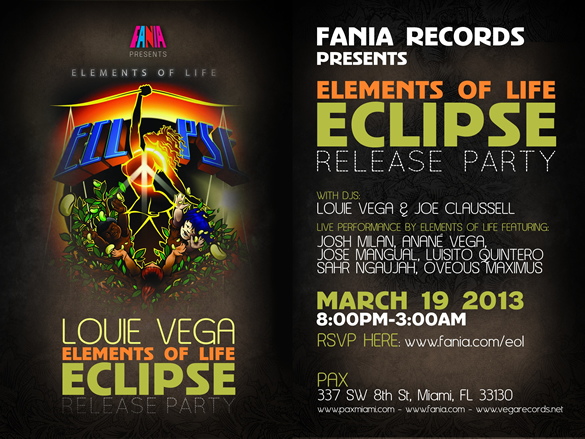 The album is set for a worldwide release date of March 19, 2013, and is the first new artist album Fania is releasing in years. 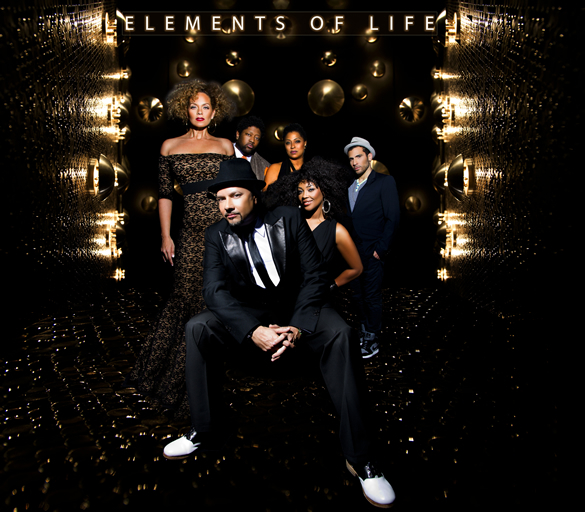 This album showcases 17 brand new tracks from Elements Of Life that tastefully traverse the sounds of Afrobeat, Jazz, Latin, R&B, Gospel, Soul, Blues, Brazilian and World Music all woven with the golden touch of Grammy Award winning Producer/Artist/DJ Louie Vega.